Known for its remarkable wall dives, beautiful coral reefs, and visibility often reaching more than 100 feet (30 meters), Cayman Island diving is among the best in the world. 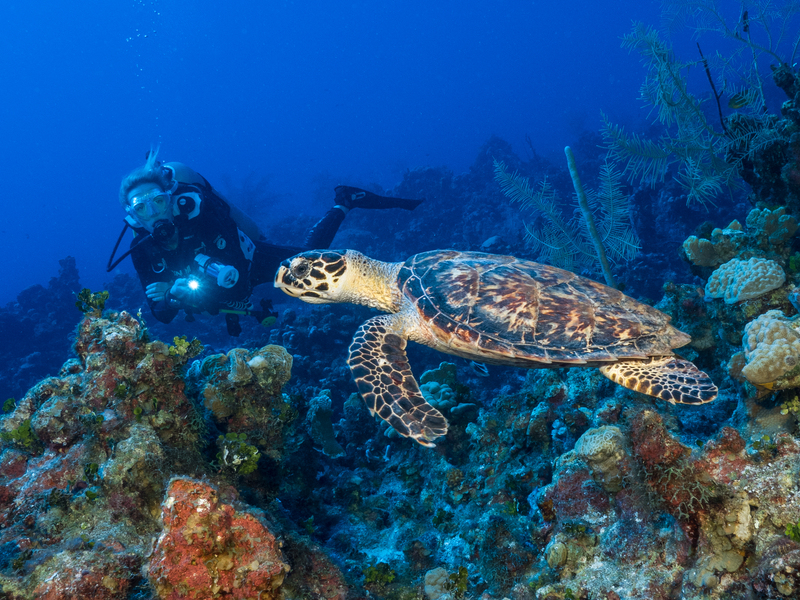 The Cayman Islands took home the award for the Caribbean’s Leading Dive Destination in 2013. This award was also bestowed on the islands in 2012 and 2007. Aqua Bay Club Condos is located on Seven Mile Beach only minutes from some of the island’s best dive spots. Stretching in front of our beach is the famous West Wall. The top of the wall is between 40 to 70 feet and slopes away into the abyss. You are sure too see lobster, shrimp, crab, moray eels, spotted eagle rays, turtles, and all kinds of tropical fish here. 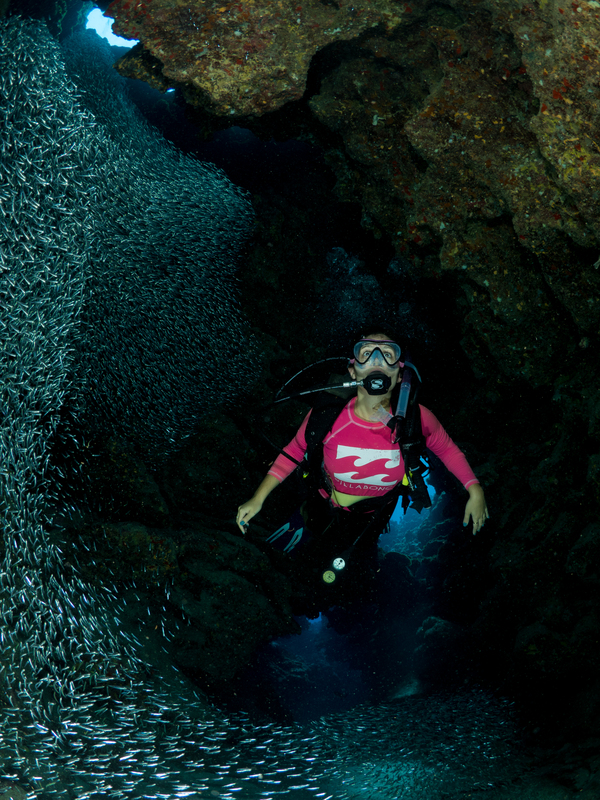 The Oro Verde dive site is a must see too. The ship was sunk with the intention of becoming an artificial reef off the west coast of Seven Mile Beach. This dive site is about 50 feet deep, making the spot ideal for all types of divers. Bonnie’s Arch is a site with tunnels and chutes at a depth of around 100 feet. Located on the north end of Seven Mile Beach, it has more than 100 feet of visibility. Divers can see groupers, French angelfish, and eagle rays. 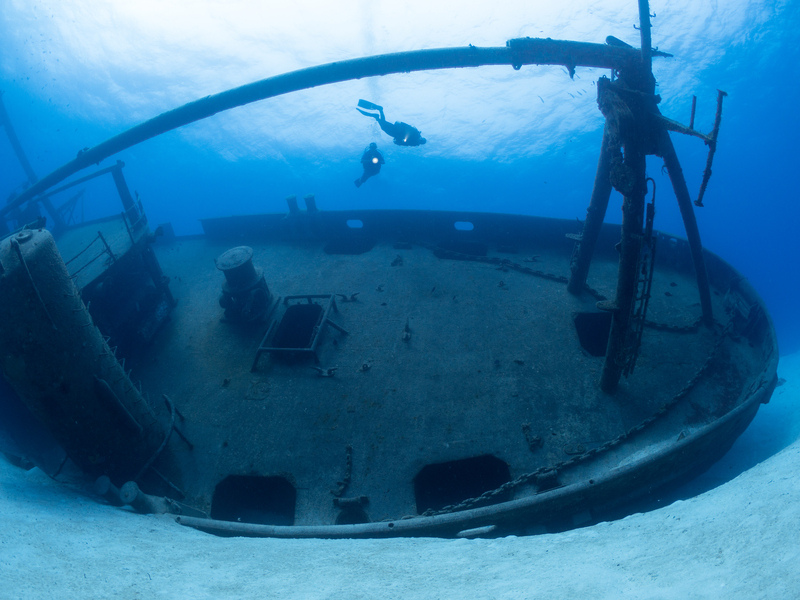 Other dive sites nearby include, Devil’s Grotto, Wreck of Cali, Babylon, Orange Canyon, and the recent USS Kittiwake. Another advantage of diving this part of the Island is that when other areas become unsuitable for a boat ride, the west side usually remains calm with outstanding visibility. On average, you may expect to pay approximately $100 per two-tank boat dive. Some operations also offer excellent shore diving. 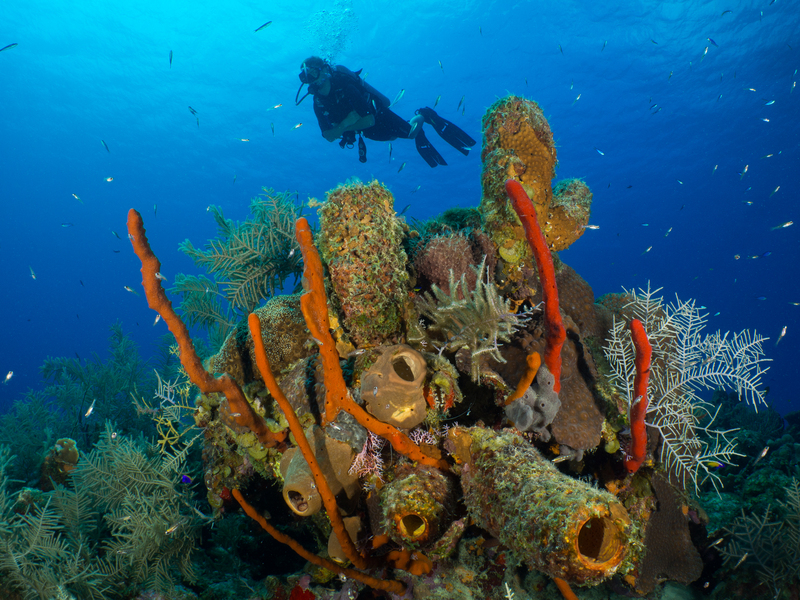 Come find out why Grand Cayman diving is the best in the world!